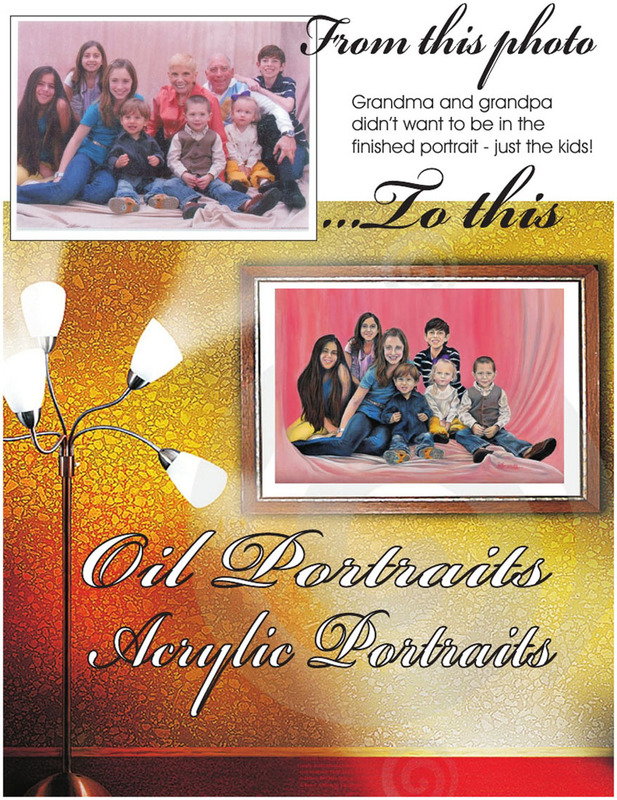 If you ever wanted a large oil or acrylic portrait of your love, your children or of you and your spouse, to frame and hang over the fireplace – this is your opportunity. Because of the time involved in such oil portraits, it is not possible to have a personal sitting. Don must work from your favorite photo or photos. The final product will look so lifelike, you might expect the subjects to speak to you!